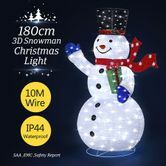 Add more joy and wonder to your Christmas holiday with a festive 3D Snowman with LED Christmas Lights! Perfect for decorating your doorway, your living room, and even better, your garden. Equipped with a shrinkable frame, it's easy to set up and space-saving. 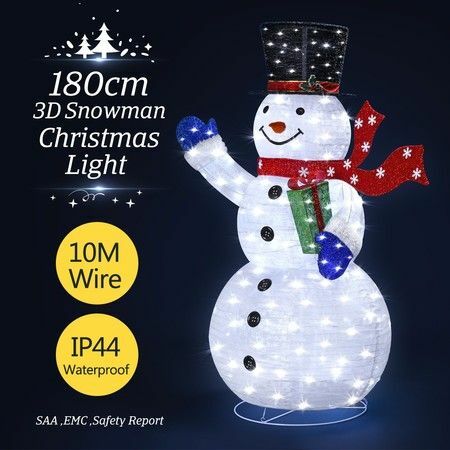 This energy-saving and long-lasting 3D Snowman Christmas decoration not only allows you to get the most of what you pay for, but also light up your Christmas festival! The total height is 180cm after opening.